Thank you for your interest in our grant program. Please review our Grant Eligibility Information carefully prior to submitting a request. Following please find our Grant Eligibility Information. Grants will only be considered for those that meet the Eligibility Requirements. The St. Marys United Methodist Church Foundation, Inc. is a supporting organization to the St. Marys United Methodist Church and was established in January 2001. We are a non-profit, Christian organization, which makes grants to non-profit, tax-exempt, charitable organizations and ministries, which are exempt under Section 501(c)(3) of the Internal Revenue Service Code. Our mission is to be a lasting, effective and compassionate charitable resource for agencies in Southeast Georgia, the nation and the world that respond to people in need, for institutions related to United Methodism, and for organizations that promote evangelical Christianity. Grants are made twice each year through a Spring Grant Cycle and a Fall Grant Cycle. The application process is a two-step process. Properly formatted proposals received by December 1st will be reviewed for further consideration for the Spring Cycle. Proposals selected must then complete grant applications. Properly completed grant applications received by February 1st will be considered for the Spring Cycle and reviewed by the Board of Directors in April. Funds for the Spring Cycle will be disbursed in June. Properly formatted proposals received by June 1st will be reviewed for further consideration for the Fall Cycle. Proposals selected must then complete grant applications. Properly completed grant applications received by August 1st will be considered for the Fall Cycle and reviewed by the Board of Directors in October. Funds for the Fall Cycle will be disbursed in December. 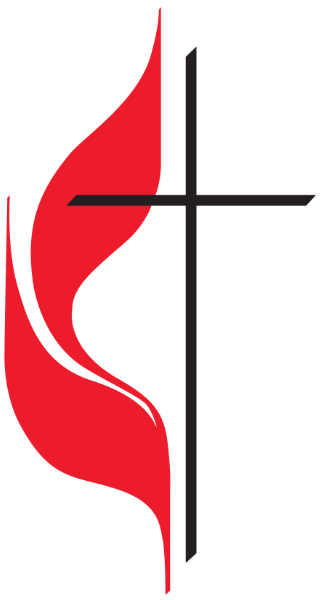 Consideration is limited to organizations working in Southeast Georgia (See Geographical Restrictions) and/or agencies of the South Georgia Annual Conference of the United Methodist Church that provide for people in need and/or promote evangelical Christianity. Applicants must qualify as IRS recognized 501(c)(3), tax-exempt organizations. Applicants must be members in good standing of the Georgia Center for Non-Profits. GCN membership requirement only applies to Georgia-based organizations. Opportunities to leverage grant dollars via matching grants, etc. Requests for Programs in the United States: Requests will only be considered for agencies of the South Georgia Annual Conference of the United Methodist Church or programs in local Southeast Georgia. Southeast Georgia is defined, for these purposes, as Camden, Glynn, Brantley and Charlton Counties. The SMUMC Foundation is not accepting any new requests for international projects and programs at this time. Debt reduction or previously incurred deficits for any reason. Individual church brick and mortar projects including new buildings, renovations, repairs, and furnishings. The production of videos, films, and other recordings. Individual church projects where a collaborative effort with other churches may be more beneficial and effective. The Foundation does not consider grant requests for these types of projects for churches only. Other organizations may apply for such projects. The Foundation prefers to fund community focused projects where the collaborative effort of several churches will be more beneficial and effective. For example, a collaboration of churches providing a community-based ministry (i.e. homeless shelters, soup kitchens, after school, etc.) may be eligible if the ministry serves the community rather than individual congregations. Contact the Foundation office, if this is the case, to see if you may be eligible. Once you have thoroughly reviewed our Grant Eligibility Requirements and determined your project meets our criteria, you must submit a proposal in the specific format provided. Click below to submit a Proposal. St. Marys United Methodist Church Foundation, Inc.